This is a round Koester’s Honey Bread porcelain sign. 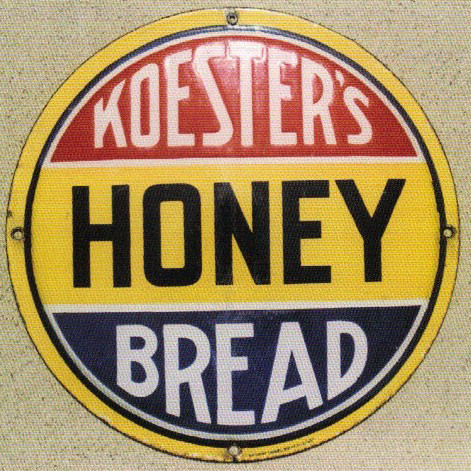 This particular Koester’s Honey Bread sign is predominantly yellow with blue and red banners. It reads, “Koester’s Honey Bread” and features black and white text.